St Giles Church has a small occasional choir which sings at Easter, Harvest and Christmas, and occasionally at weddings and funerals. 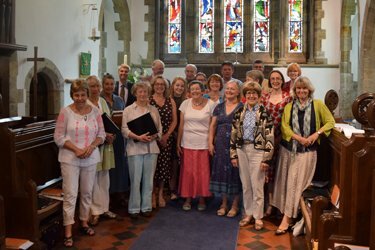 If you would like to join this choir, please see Contact and Find us for the music co-ordinator’s contact details, who will be pleased to hear from you. 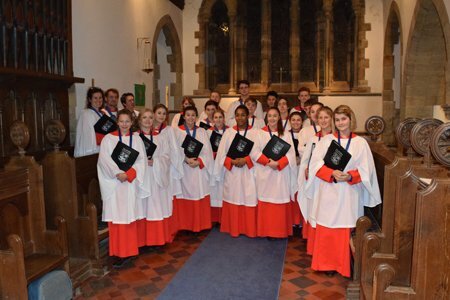 On Advent Sunday each year we are fortunate to have an evening Advent Carol service at which ‘Schola Cantorum’, the choir from Seaford College sing. St Giles Church has a three manual Viscount Prestige electronic organ in excellent working order. A rota of excellent organists plays for Sunday morning services. From time to time, organ recitals are held in our church, normally as part of our village festival. See What’s On for details of any forthcoming events. If you would like to join the rota of organists please see Contact Us: Alphabetical List for the music co-ordinator’s contact details, who will be pleased to hear from you.